Around mid-April of this year I was lucky enough to be chosen as an expo blogger for the Gluten Free Allergen Free Expo that took place near Chicago. My friend, whom is as dedicated to eating clean and healthy as I am, and I headed to the expo and were blown away by all that this event had to offer, including rows and rows of gluten and allergen free and friendly companies introducing and sharing their products. Needless to say we both left with a bag full of healthy goodies, her to share with her boyfriend whom had just found out he suffers from a slight gluten intolerance and me to test and share with my readers of course! This is part one of my company and product wrap up in which I quickly share a little about the company and products I got to try. Grab The Gold energy bars have a very inspirational background which you can read about in my upcoming in-depth review! In the mean time, I can tell you this little protein packed energy bar is quite healthy being made with organic and non-GMO ingredients. As if that wasn't enough to entice a person, these bars are also gluten free, high fructose corn syrup free, vegan, and dairy free. The bar only comes in one flavor which is Chocolate Peanut Butter but I was quite impressed on it's nutritional stats! If you want to know a little bit more keep your eyes peeled for that review. 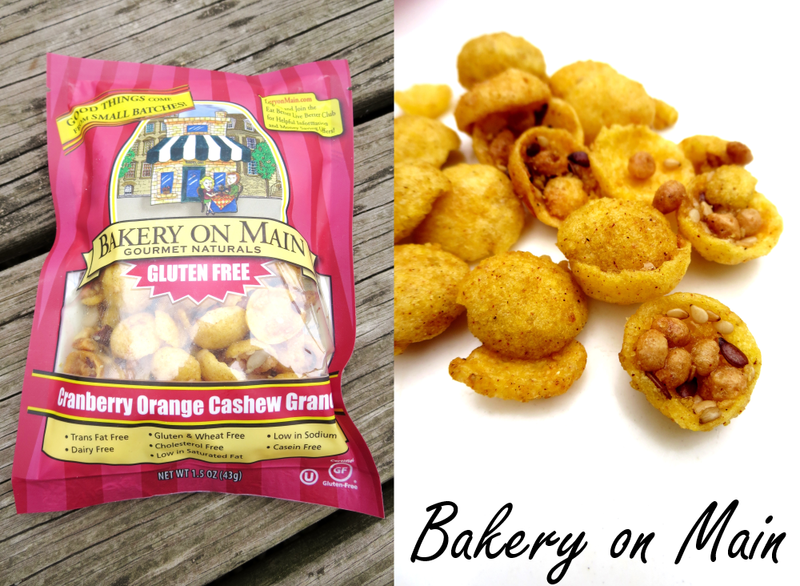 Bakery on Main is a company I'm somewhat familiar with having done a review of their gluten free Truebar and Oatmeal a little while back, so it was wonderful being able to catch up on some new products I happened to miss when they came out like their completely unique Cranberry Orange Cashew Granola which is gluten and wheat free, casein free, dairy free, along with toting a few other healthy benefits. If you're scratching your head trying to figure out what that could possibly taste like, I honestly couldn't explain it to you-once you initially pop a handful in your mouth there's an explosion of different flavors and textures that mix on your palate leaving you thinking for a little while, "DO I like this, or not?" The general consensus was it was too unique not to enjoy. In fact, I can't wait to try it with some plain yogurt! 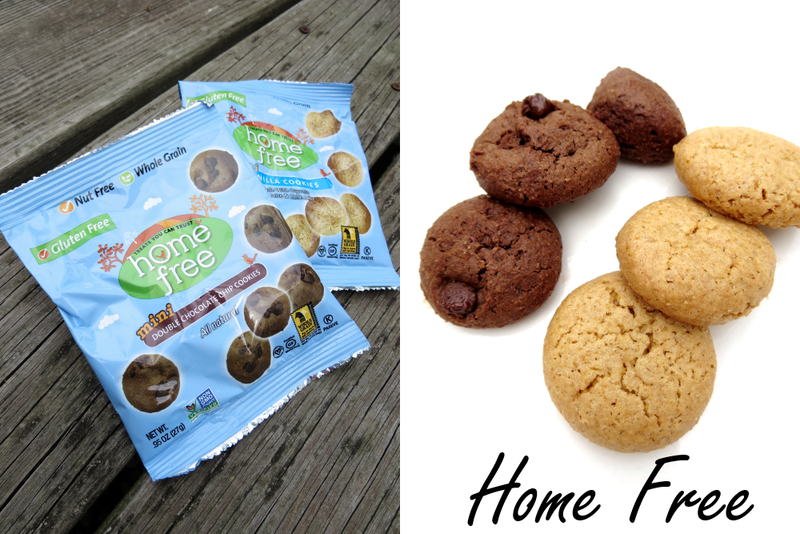 Home Free was another new company that I was excited to discover and learn more about. They were giving out samples of their Gluten Free Double Chocolate Chip and Vanilla Mini Cookies which are, of course, gluten free, as well as nut free and whole grain, and baked in a dedicated bakery free of peanuts, tree nuts, eggs, dairy, wheat, and gluten. Both sets of cookies were good; had great flavor and texture but didn't quite WOW me like some other products I came across. Although I do like how they offer a few more varieties of flavors in their minis and they're GMO Project Verified! 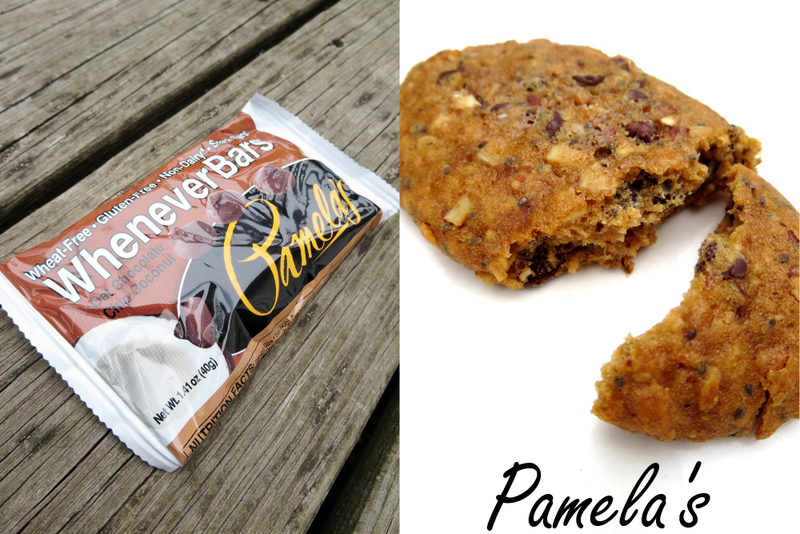 Pamela's Products has been a household name for my family and I since a little after we started our healthy living lifestyle so it goes without saying their products already hold a special place in my heart. When I came across their booth at the Gluten Free Allergen Free Expo, I was beyond thrilled, especially when I saw they had some new products to debut like their new line of Whenever Bars which are wheat-free, gluten-free, and non-dairy. 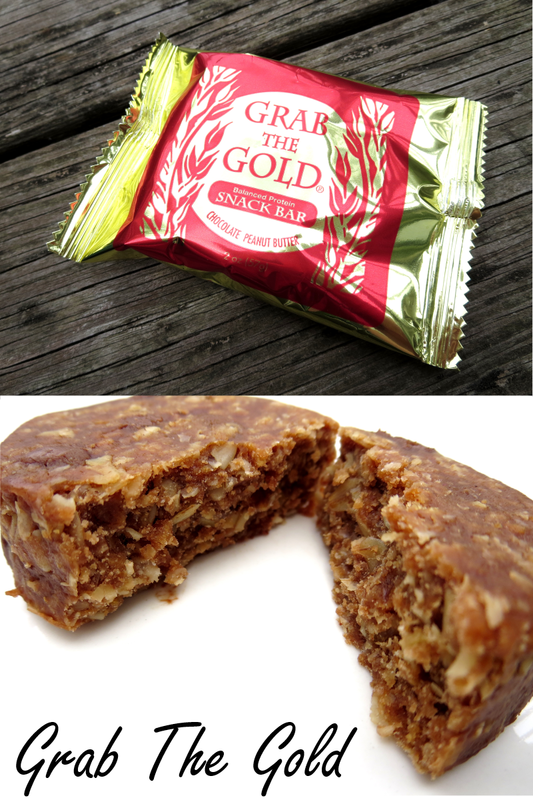 This particular bar I got to sample was Oat Chocolate Chip Coconut and when taste tested, I found it to be pretty good. I'm not a huge coconut person but I thought coconut flavor wasn't too overpowering and the flavor, texture, and moistness of the bar overall was very appealing. We love Bakery on Main. They are one of our favorites! It's always fun to have a new treat to try. These look yummy.